Stewart Schneller with Donna J. Nelson, Immediate Past President of ACS. 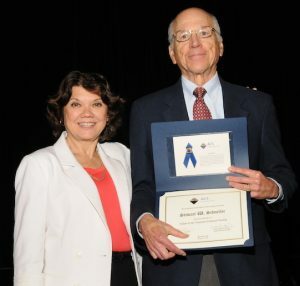 Stewart Schneller with Donna J. Nelson, Immediate Past President of ACS. [/caption]Stewart Schneller at the ACS meeting in Washington, DC. August 21, 2017. 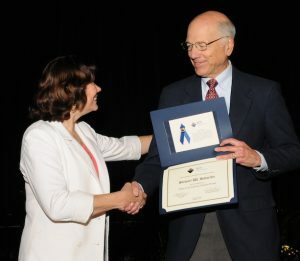 Ceremony for recognition as a Fellow of the American Chemical Society. Photos by Peter Cutts Photography.